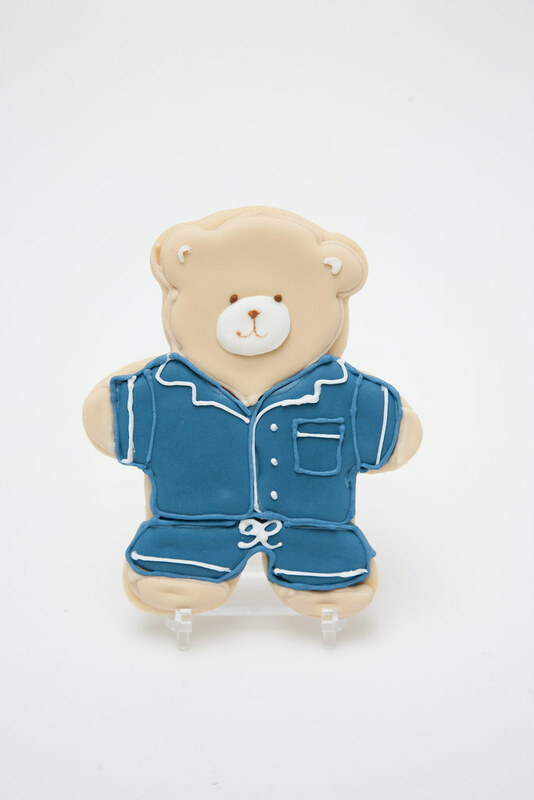 I made these cute little Teddy Bears in Pajamas Cookies for a baby boy baby shower. I shipped them to my mom since she was doing the cake. The shower was for my mom's wonderful friend Joan's daughter, Jackie. The shower was hosted at the family's awesome & hip NYC wine bar, Corkbuzz. My mom said it was a fantastic shower! Here are a few pictures of my cookies and even some pics of the cake that my dad sent to me! I thought the alphabet blocks would be perfect to add to this baby shower tag, especially with a quintessential teddy bear. I also took the opportunity to use my "Blue Feather" color cover paper for the first time. The CAKE by my mom!! 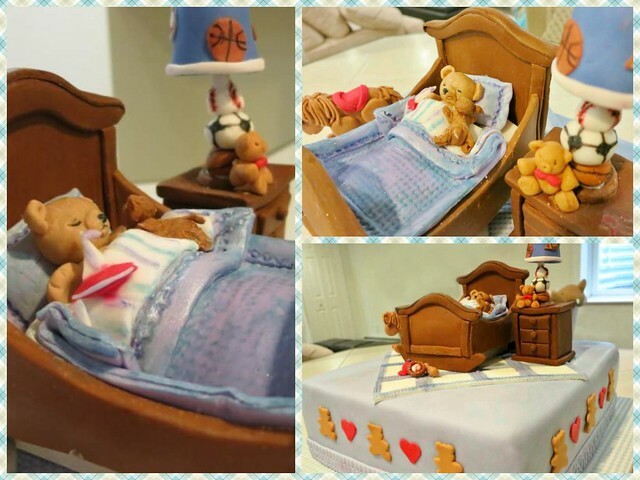 The cake is topped with FONDANT FURNITURE, people. Isn't it incredible??? My mom made it all by hand. She's so TALENTED! Her teddy bear is so spot on, too. So are her colors. 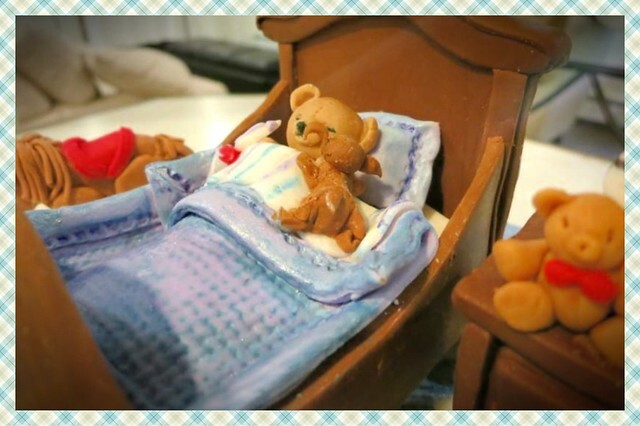 The baby shower invitation was the inspiration. 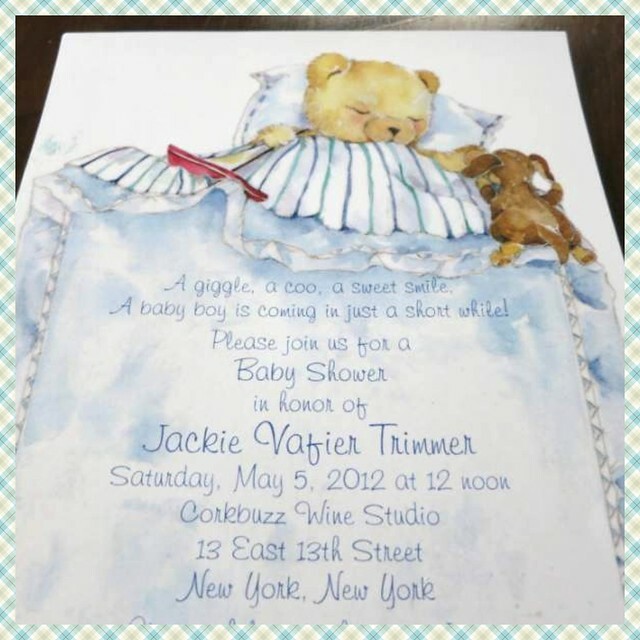 Here's the baby shower invite. Congrats to the parents & grandparents to be!! Can't wait to see pictures of the sweet baby boy!